"Hi, my name is Hardy (Hartwig) Kielnhofer. I was living in Abbotsford when I attended the College and even though I was only there for a short time, I really feel a deep connection and feel the need to take this step towards preserving its history. 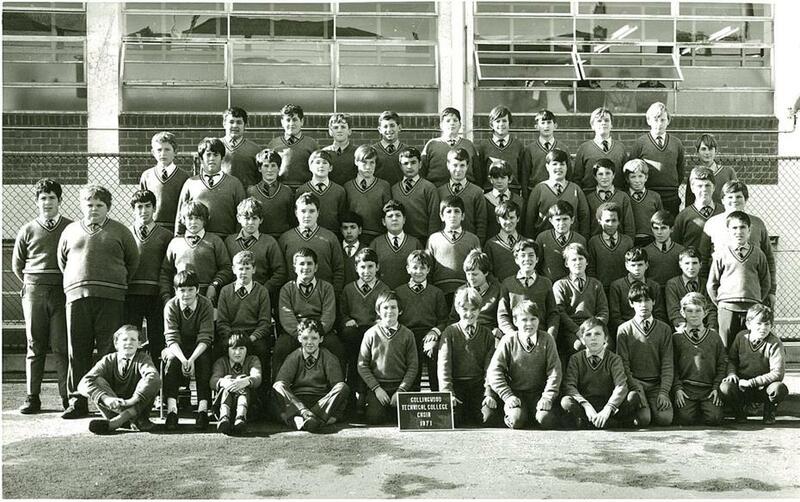 I attended the school in 1971 and was in Form 1B and remember being in the choir and we performed a Christmas special at the Collingwood Town Hall. The only names I remember from my class are 'Alan' (but not his surname) and another student with a surname 'Kelly'. I even remember Alan sleepwalking at the camp! I do have other memories of newbies getting their heads dunked in the toilet and other such initiations. On the other hand, I have fond memories of the music section of the school and the metal workshop. However, my highlight was attending Camp Westlake in Buxton, Victoria. I decided to visit Camp Westlake in 2006 and took some photos which are displayed in the gallery. I have also gathered some photos of the College from various sources on the internet with some photos being from my own collection. " - Past student of Collingwood Technical College, Hardy Kielnhofer. the middle in the back row. I haven't seen this photo for 42 years. There seems to be one boy missing from the photo. 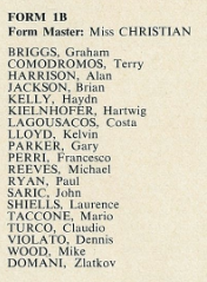 Our class had 19 students according to the 1971 school roll shown below. I have a feeling that the boy not pictured might be Gary Parker but I'm not sure. songs from the musical "Hair" as well as a selection of Christmas Carols. 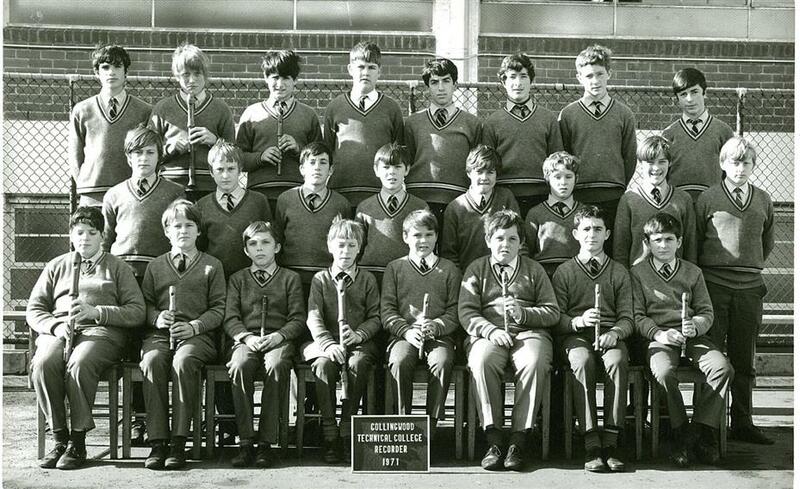 1971 Recorder Group. 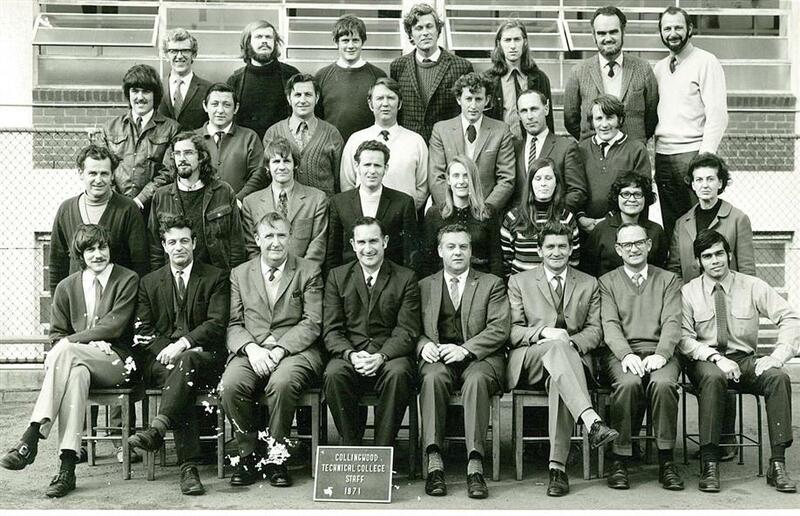 I am sitting in the front row, 3rd from the left.